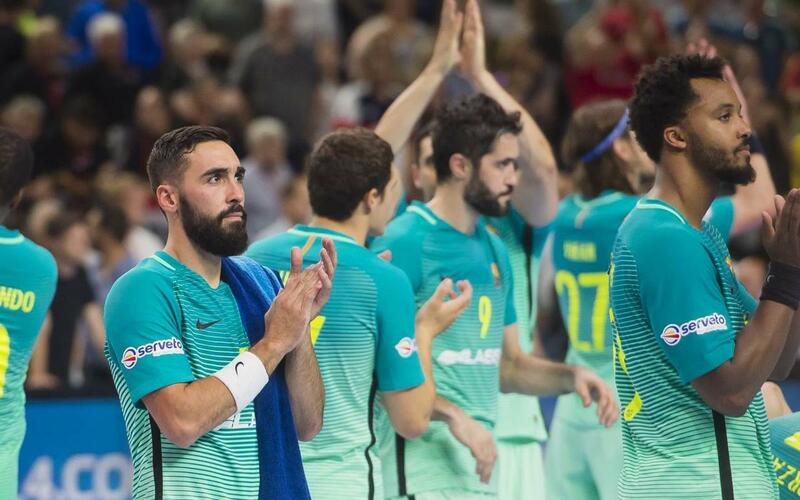 FC Barcelona Lassa ended their time in Cologne for the 2017 Final Four in fourth place after losing to Telekom Veszprém in the third-place play-off (34-30). The match was neck-and-neck in the first half but the Hungarian side took the game away from the Catalans following eight goals from Palmarsson, six from Nagy and five from Nilson. The first half was even with both sides playing well although Veszprém were slightly more fluid. Barça were only in front once when Ariño made it 5-4 in the ninth minute. The team from Hungary responded well with four unanswered goals giving them a 14-10 lead by the 21st minute. Lekai and Ugalde were hurting the blaugranas with five goals each in the first half. However, N’Guessan’s four goals and Ariño’s lightning quick counters helped Barça reduce the difference and they went into the break just one behind (18-17). After the break, Barça Lassa looked out of sorts and they were five behind after 47 minutes due to Vezsprém’s clinical attacking and their keeper Mikler’s impressive saves (27-22). The Catalans tried their best to get back into the game but Nagy, Nilson and Palmarsson’s effectiveness meant they were unable to close the gap and the final score was 34-30. This means Barça leave Cologne without achieving what they hoped but they will have to move on from this quickly with the Copa del Rey coming up.